‘Iommi is God’ A familiar refrain among rock aficionados in tune with the groundbreaking work of founding Black Sabbath guitarist Tony Iommi. 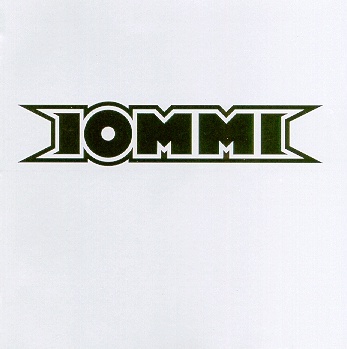 The name itself-Iommi-conjures in the misty mind’s eye visions of down-tuned apocalyptic doom and monolithic riff-mastery nonpareil amongst his peers. The stalwart backbone of Rock’s greatest band has proved time and again that there is none heavier, as evidenced on any classic Sabbath song: “Into the Void”, “Iron Man”, “Heaven & Hell”, “Mob Rules”, the list is endless. Iommi’s initial stroke of genius occurred in late 1969 when he created a genre of music-later to be dubbed ‘Heavy Metal’-with three seductive, foreboding chords, the result of doing more with less in the primitive, minimalist Sabbath blueprint. Such unholy, chordal trinity formed the gestalt of the Sabbath mystique and the framework of the masterpiece Black Sabbath-diabolus in musica. On stage, Iommi is the human equivalent to the Rock of Gibraltar, standing fast like a king overlooking his minions, surveying their loyalty and devotion to the cause of Metal. His enigmatic, menacing countenance slyly esteems the demons and witches lyrically while 120 decibels disturb the frequencies around him. 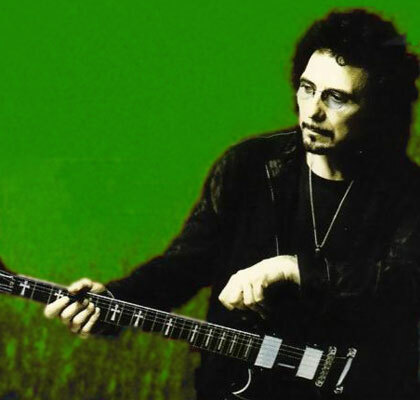 Idolized by three generations of guitarists seeking to pen the perfect riff, Tony’s long-standing tenure on the turbulent carousel of Rock & Roll has steeled him against the winds of change and corrosive fads of pop culture. Young upstarts look to Tony’s work for inspiration and, commonly, to nick a lick or two. He is IOMMI, and he stands alone. Following the over-the-top success of the Black Sabbath Reunion album, supporting tour, and Ozzfest ’99 run last year, there has been a renaissance of Sabbath-inspired heavy rock. In between tours over the last three years Tony has been preparing his first ever solo album, and he’s called on some of Rock’s best voices to lay down vocal tracks: Dave Grohl, Philip Anselmo, Billy Corgan, Henry Rollins, and Ian Astbury all appear. True to form, the album is dark and menacing with each singer leaving his distinct mark over Iommi’s inimitable music. Venturing forth on his own with Iommi one is reminded of the staggering influence this one man has had on the spectrum of heavy rock. Turn on, tune down, doom out. Can you get this album on iTunes or Amazon?